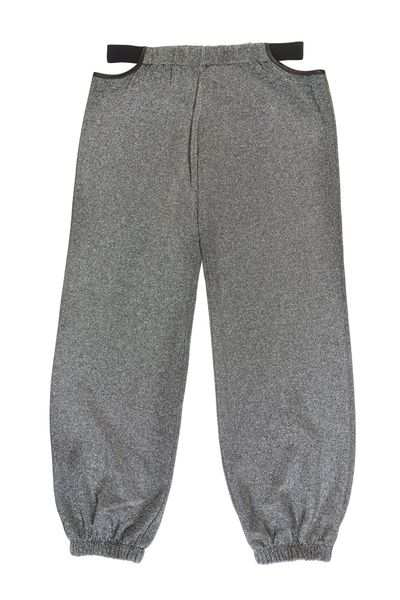 Knitted jersey trousers with wide elastic waistband and elasticated cuffs. Knitted jersey trousers with wide elastic waistband and elasticated cuffs. Kriss Soonik Laura Disco Silver Trousers is cutouts on the side edged with satin. Signature black Cat metal label in the front.